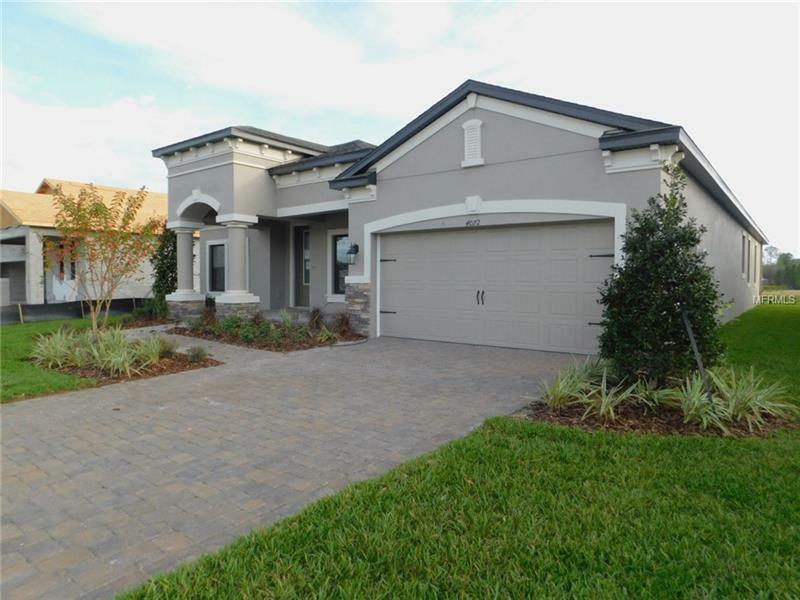 The Kendall floor plan is a prime example of a well balanced 1-story floor plan. This home features 4 bedrooms 3 baths over 2600 square feet. The first space you see to the side after entering through the foyer is a split hallway for 2 bedrooms with a bathroom to share. Further down the entryway just before the dining room is a hallway leading to a full bath the 4th bedroom a utility room and an entry into the large 3-car tandem garage. Past this hallway is the open concept living area. First is the dining room which leads into the family room and there's also the cafe area and amazing kitchen. The kitchen is complete with a giant island and plenty of counter and cabinet space for everything you need. Located in the back corner of the home is the master suite. This master suite is complete with not one but two walk-in closets! Through the master bedroom is the master bath complete with a garden tub a walk-in shower and a dual vanity. This amazing master suite also features a sitting room and a formal study space. You won't believe how amazing this home is until you see it. Call us today to come and take a look at this amazing plan for yourself!